The term tendonitis refers to inflammation of the tendons. The tendons and the other structures in the knee joint are regularly exposed to various ranges of wear and tear. The patellar tendonitis is the commonest type of tendonitis of the knee and is also referred to as knee tendonitis in some cases. Another common name used to denote patellar tendonitis is jumper’s knee. Athletes involved in sports such as running, jumping and other movements of the legs that put high pressure on the knees or result in extensive usage of the knee joint are more prone to knee tendonitis. It is also commonly seen in middle to older aged adults, and those who perform repetitive tasks that involve the knees. • The pain is aggravated with movement that involves muscles located on the front of the thigh such as running, kicking, stooping, squatting or climbing stairs. • A dull ache or pain below the knee cap once activity has stopped. Eventually if the problem persists then there will be a constant ache and it will often make it difficult to sleep at night. If the patellar tendon is chronically strained then tendonitis (tendinitis) in the knee may develop over time. There are number of reasons why an individual develops tendonitis in the knee. Instead of masking the symptoms of tendonitis knee pain with anti- inflammatory pills or cortisone shots Dr. Berry’s Laser Knee Program treats the root of the problem without drugs, knee injections, or knee surgery. 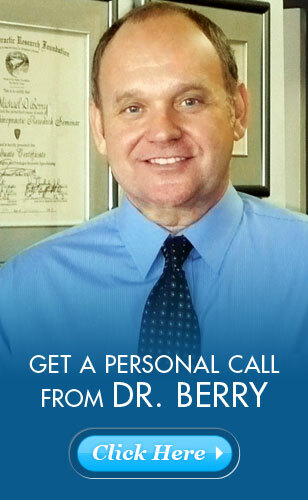 Dr. Berry’s program utilizes the latest FDA Cleared Class IV Lasers, and combines them with other therapies to help reduce the pain, strengthen the muscles around the knee joint, and increase range of motion. Most importantly these treatments help reduce inflammation/swelling, which helps improve overall function of the knee.